After the initial announcement of the new Hashlet Digital Cloud Miner by GAW Miners there has been a lot of user interest and when the prices were also announced and the sales have started the interest was so big that the users managed to bring down the whole Shopify network temporary. 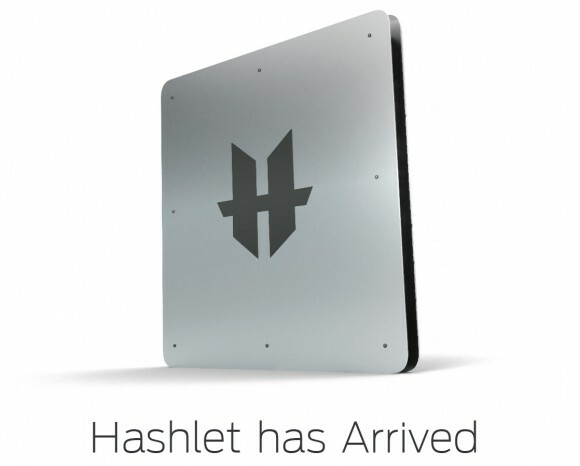 After that issue was quickly resolved and things were back to normal we have decided to try out how easy is it to purchase a Hashlet and then to do a detailed review of the digital cloud miner as well. But first we are going to do a quick overview of our experience purchasing a Hashlet and since the testing and reporting part will need some more time we are going to post the review a bit later on when we do get enough experience and some results with the Hashlet. 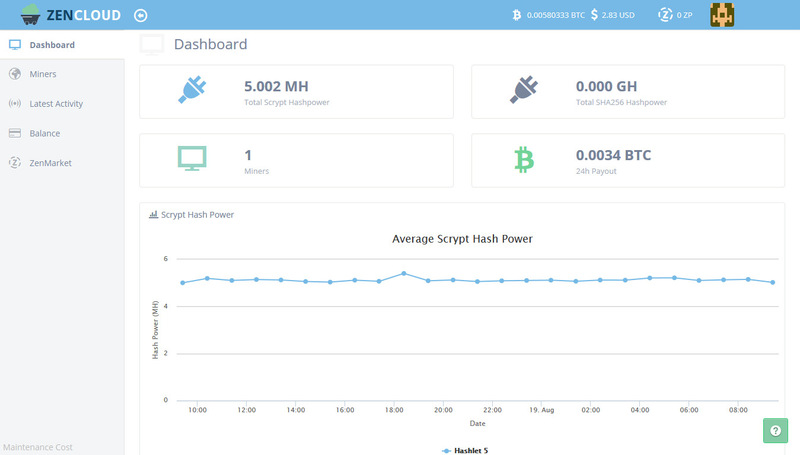 The Hashlet is essentially cloud mining hashrate for Scrypt mining that mines for you in a multipool to maximize profit and you get paid in Bitcoin. 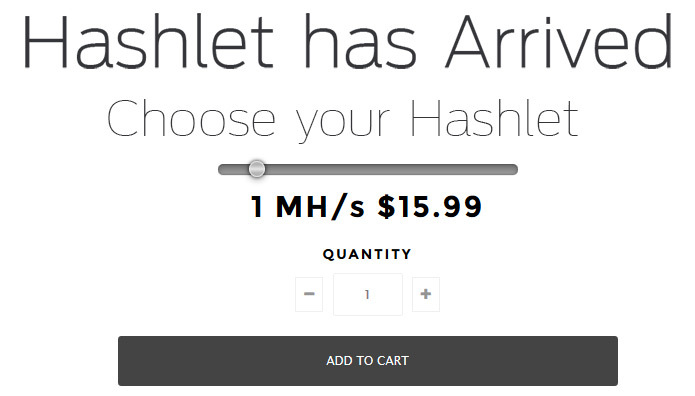 Currently the price per 1 MHS of hashrate for a Hashlet can be purchased for $15.99 USD, with a minimum of 1 MHS and a maximum of 100 MHS packages, though you can also purchase multiple Hashlet units with a hashrate of 1, 5, 15, 25, 50, 75 or 100 megahashes. Remember that this is Scrypt hashrate not SHA-256 hashrate like most other cloud mining services sell in Gigahashes (GHS), here the hashrate and profitability is different as compared to directly mining BTC with a cloud mining service. The Hashlet is designed to be a digital cloud miner for Scrypt mining in a multipool giving you the maximum profit directly converted in Bitcoins. This is utilized by mining for the most profitable Scrypt-based crypto currency for the moment and then exchanging it for BTC, so this way you can get the maximum from the current market prices. The disadvantage is that you cannot mine coins that you decide and you cannot get paid in a specific coin like you can with an ASIC miner for example. So when you decide on the hashrate of the Hashlet you want to purchase you add it to the cart, for the purpose of our initial testing we have decided to go with 5 MHS Hashlet, so we have added it to the cart and confirmed that we want to purchase it. We have entered our Billing details and have selected to pay with Bitcoins, though you can also choose to pay with a Credit Card or with a Bank Wire Transfer as well. 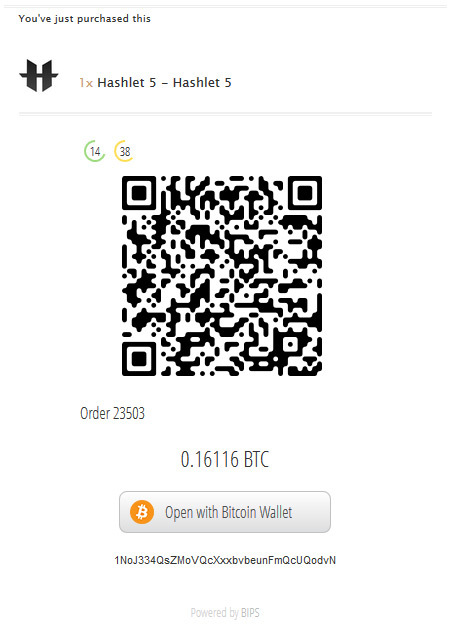 Then we were presented with payment page with 2D Barcode as well as the amount of BTC and the address we needed to send the coins to. The number of coins for the $79.99 USD payment we needed to send for the 5 MHS Hashlet was automatically calculated as 0.16116 BTC with the current Bitcoin price. The payment page had a counter that gave us 15 minutes to initiate the payment and as soon as we sent the transfer from our wallet the page refreshed and said that the payment has been accepted. So this is just to send the payment, not to wait for 6 confirmations before your order and payment gets accepted. What followed next was a bit confusing as the payment page just said that the payment has been completed and nothing more on what to do or where to go. We expected that we need to wait some more for the Bitcoin transaction to be confirmed before we received further instructions. About 15 minutes later with just 3 confirmations of the Bitcoin transfer confirmed we have received an email with further instructions. 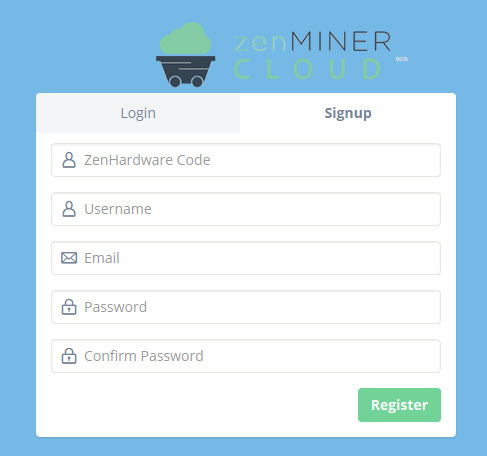 We were directed to register a ZenCloud account if we don’t yet have one and got a ZenHardware activation code that we needed to redeem at the ZenMiner website in order to activate our Hashlet. The account registration panel did require the activation code, however it did not automatically activate the Hashlet in our account, we needed to redeem the code inside the control panel after we have registered an account in order to have the 5 MHS Hashlet active and then to also select the pool that we wanted to mine in. 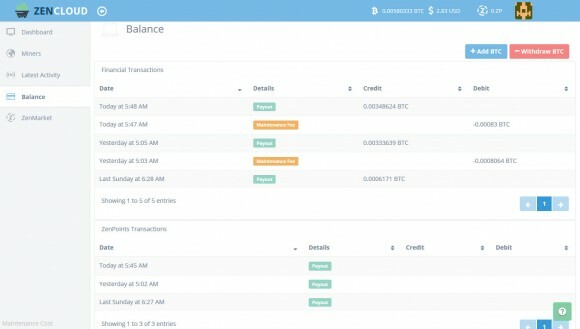 Of course we have chosen the ZenPool as it was reporting to give the highest profit as we have been promised for the Hashlet, though we’ve had some other popular multipools available as alternatives as well. We are going to soon post about our experience using the Hashlet and what profitability you can expect from it once we have collected some data about that, so stay tuned for more information very soon. 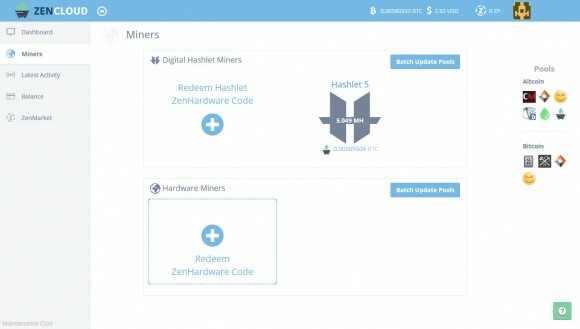 Meanwhile we can conclude that it is very easy and quick to purchase a Hashlet digital cloud miner, it took us just about 30 minutes from the time we started the purchase process, to do the payment using Bitcoins until the moment we’ve had an active ZenCloud account and had the Hashlet to start mining for us. This is among the fastest, if not the fastest, complete process for purchasing cloud mining hashrate and having it start mining for you from all such services that we have tried so far, and we have tried many.